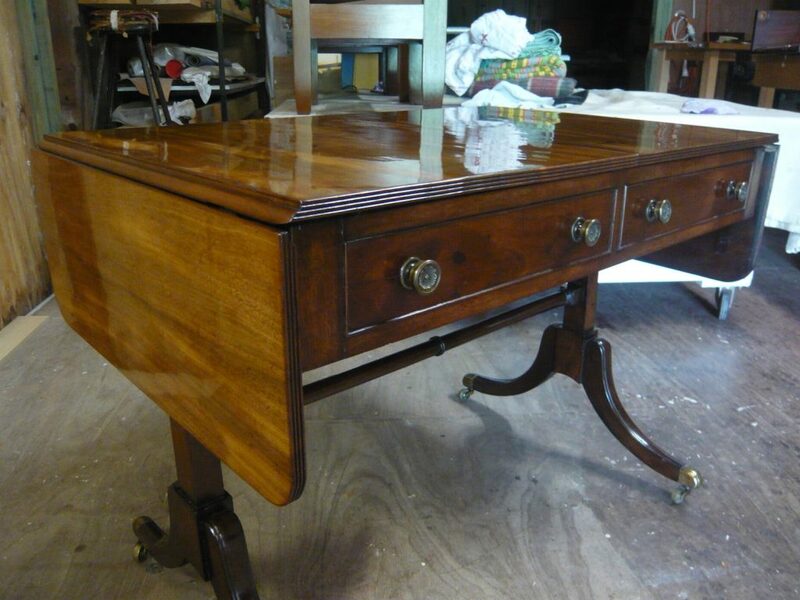 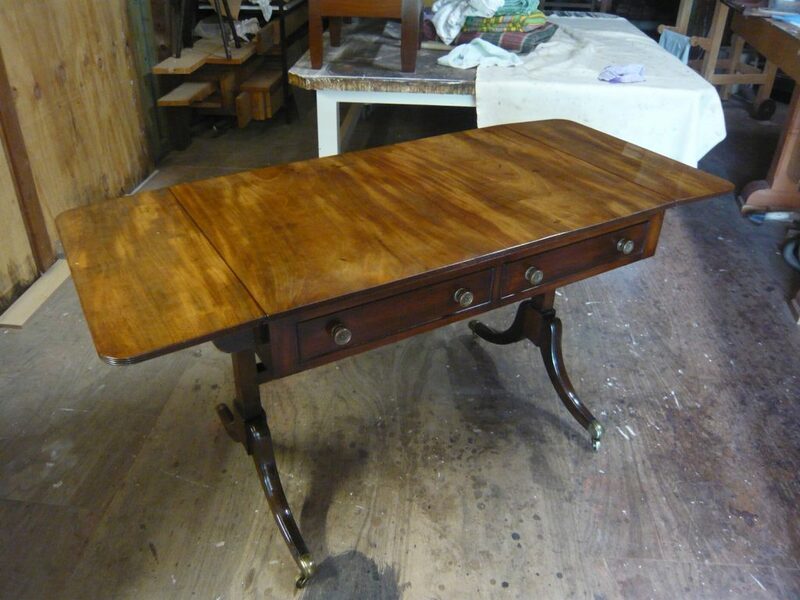 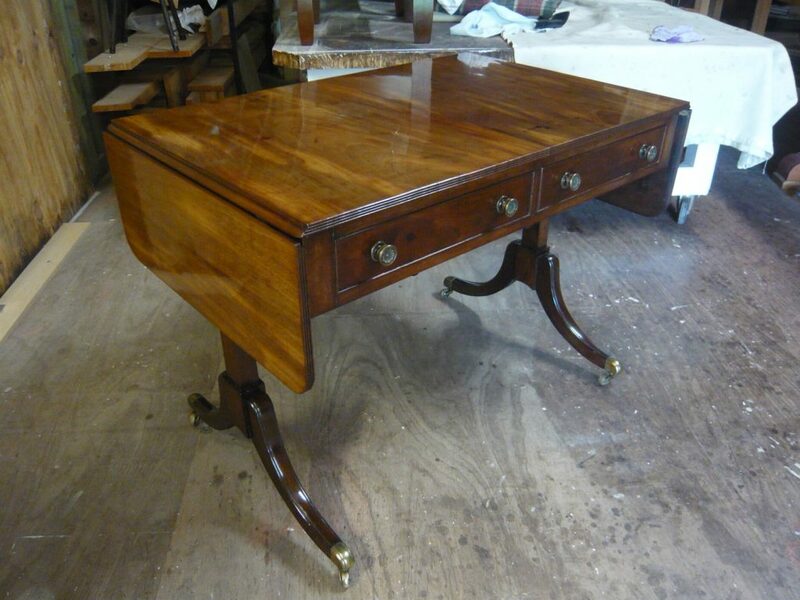 This Late Georgian Mahogany sofa table was in reasonably good original condition. 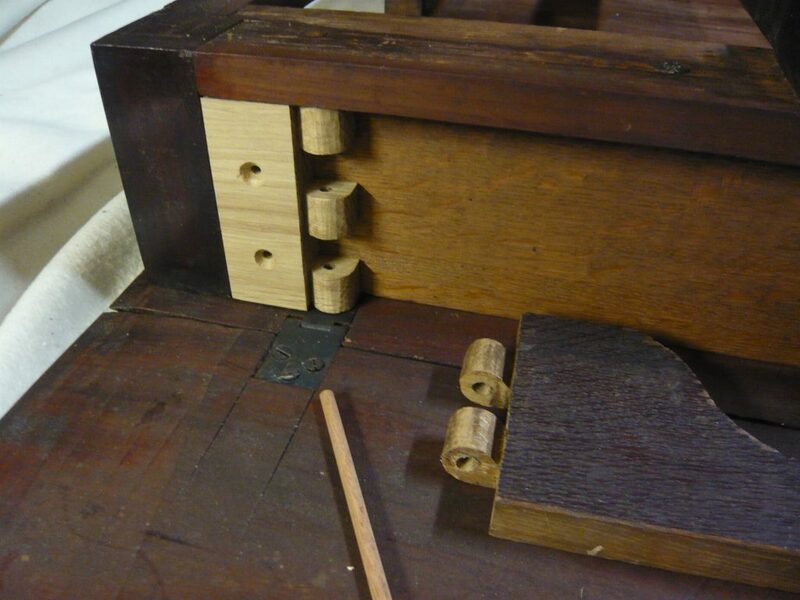 The work required was more conservation type work rather than restoration. 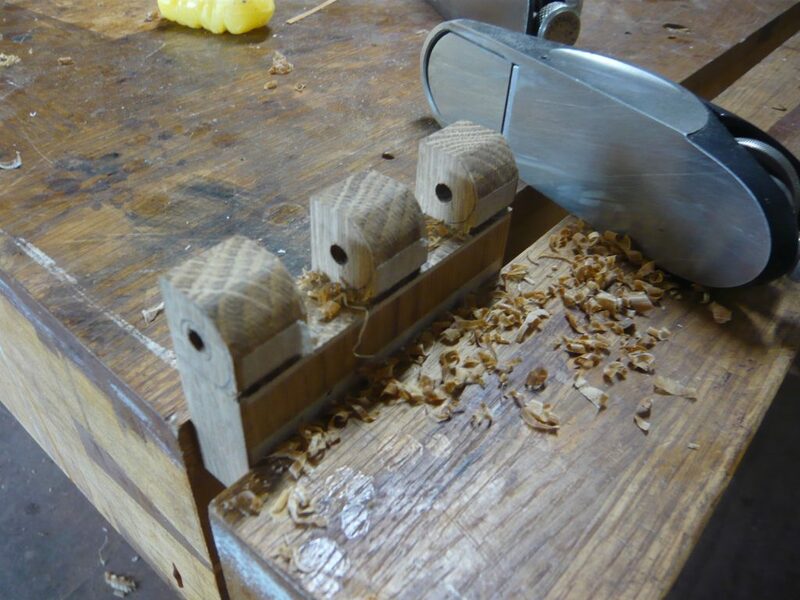 Below are some images of the work I did. 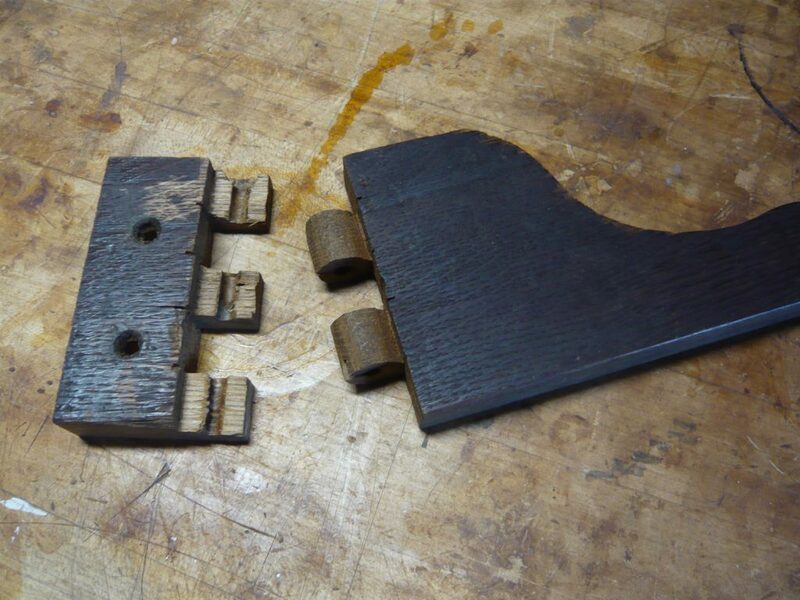 The knuckle hinge on the flap was broken and need to be rebuilt and re-fitted. 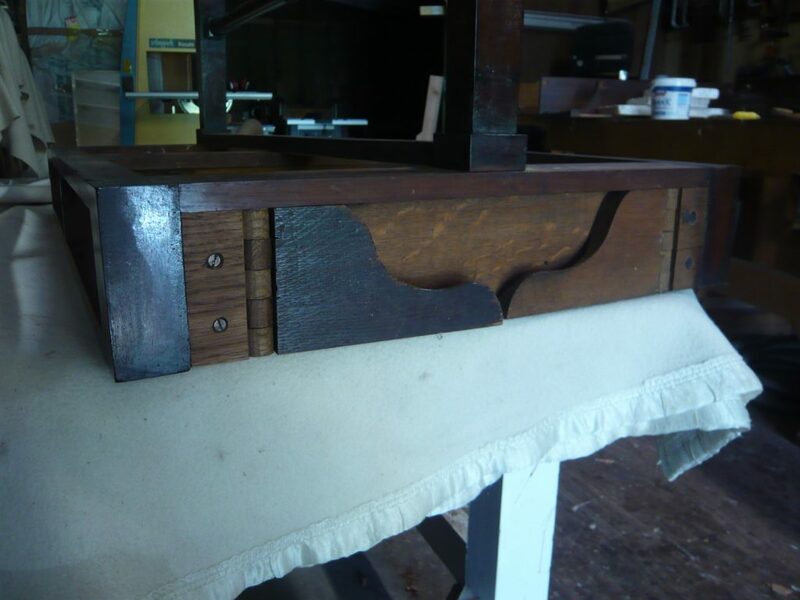 Fortunately the 19th century French Polish was still in tact and just need to be cleaned and then rebuilt with a French Polishing rubber retaining. 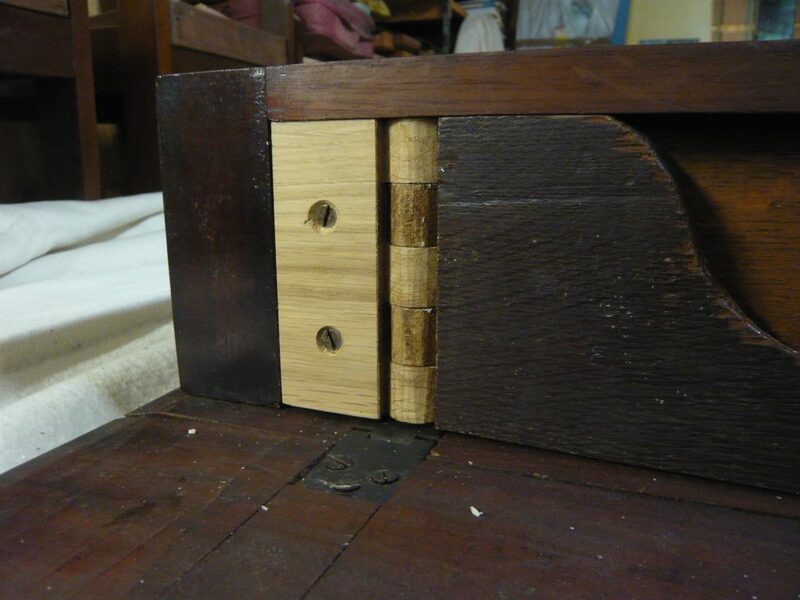 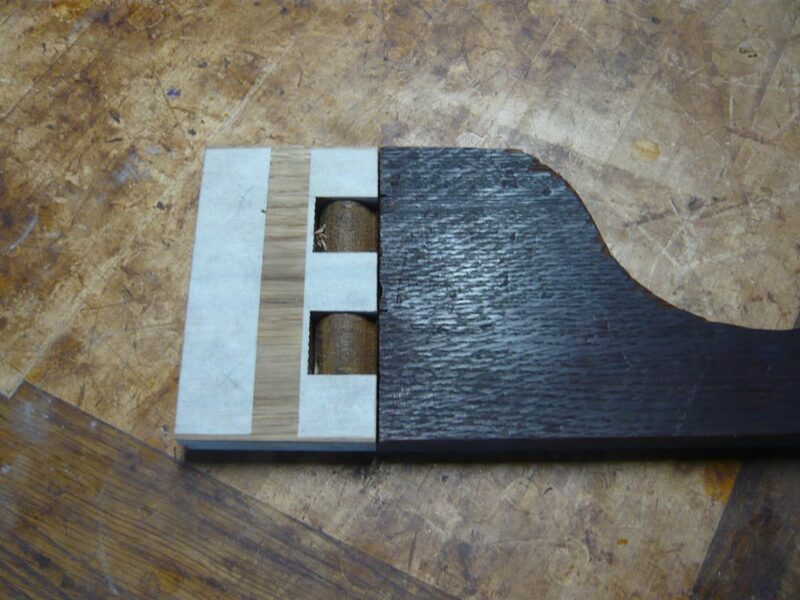 There was other minor damage and losses which were repaired and filled with old Mahogany matching the grain and colour.